If you live in Singapore, you can be able to maintain favorable room temperatures by installing aircons. They are suitable for use in offices, cafes, hotels and even in homes. You are able to enjoy comfortable environment throughout the year even when the temperatures outside are hot or cold. 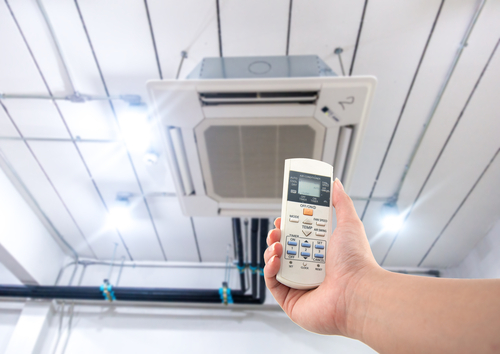 There are several types of aircon, ceiling cassette aircon being one of the most trusted, reliable and effective ones. Many Singaporeans like the product for it is highly discreet as only the grill is visible on the ceiling above. 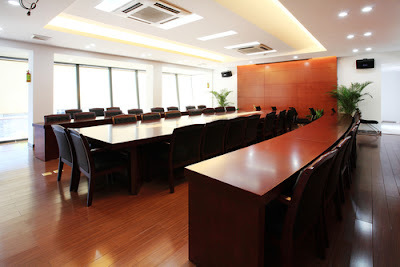 It has modern fan technology to act as the distributor of air in the room. Ceiling cassette systems offer cooling and heating services. Ceiling cassette aircon unit has an advanced technology which allows easy, stable and noise-free operation. It also makes the units to be more economical compared to other conventional units. The technology helps the system to handle high temperature extremes. The swinging technology facilitates the up and down movement where the automatic up swing aids in cooling while the automatic down swing facilitates heating. The ceiling cassette has a slim fit body design which occupies about 1 to 3/8 inches under the ceiling which is limited space. This makes it very famous with Singaporeans who prefer slender designs to prevent cases where a room looks crowded. The more the directions that air flows in a space the better the maintenance of temperature in that space. Ceiling cassete aircon has airflow moving in 4 directions and so it provides high level of comfort ability. 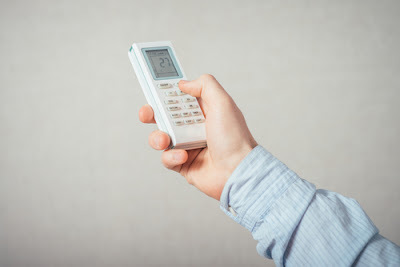 The remote control features child lock, remote temperature sensor, weekly timer, daily timer for on and off and that one for twice daily, one to be set in intervals of five minutes. It also able to control from 1 – 16 units indoors. Washable and Detachable filter and grill which aids in simple service and maintenance. The energy saver keeps the room cool using a thermostat setting for relaxed. The setting enables the air conditioner to decrease consumption of power when a set temperature reading is achieved. When the system is first switched on, the fan is at high speed to get to the set temperature as fast as possible. Afterwards, the speed comes down to maintain set temperatures. It has a dry mode function to control levels of humidity even in times when cooling is not necessary. The airflow from outside can be achieved through attaching a flexible duct to knockouts of fresh air. - Auto Reset/ Restart, High ceiling Mode. This important system needs servicing from time to time so that it can work efficiently. You need to hire the services of an aircon service company to wash parts for fresh and healthier air. Such service providers are experts in Aircon chemical wash, servicing, repair, installation, overhaul and Freon gas to-up. When these services are not done as often as it is necessary, they affect the quality of air that comes out of your system in a negative way. Cleaning makes sure that the air you breathe in is as sanitary and healthy as possible. The experts as able to prevent any dysfunction or leakage from the system. The system may not have any noticeable problems but if left un-serviced for long the next heat wave may become problematic. When problems are discovered in good time, it becomes very possible to repair and prolong the lifespan of the aircon. It also saves money as a small problem costs way less compared to a major repair after a system breakdown. In other words, an expensive problem is prevented. As already mentioned above, chemical overhaul is one of the processes needed for proper aircon maintenance. It involves thorough cleaning and reconditioning of an air con. It restores functionality in units which stay for long without any kind of service in which case ordinary cleaning may fail to work. It also lubricates bearings of fan to ensure the operation is noise-free, it replaces bearings that are faulty and removes operational noise. It checks all system controls including thermostat and cleans blower wheels, drain pans and pipes with the right chemicals. It deals with grime and dust accumulation through fan evaporator coil cleaning for facilitation of smooth heat transfer. If you are contending with aircon leakage, a drainage system chemical cleansing is done to help stop the problem. Chemical overhaul on ceiling cassette aircon involves some steps. The aircon is dismantled from the ceiling to ensure that the filters are well cleaned by use of chemicals for clean air and prevention of allergies. Another step involves fan evaporator coil chemical cleaning. This ensures good transfer of heat as well as elimination of dust and dirt build-up. Refrigerant gas is topped up which is a material for heat exchange used in aircons and refrigerators. The chemicals utilized are formulated to be able to break down the build-up sucked into the machine. A chemical overhaul expert working on ceiling cassette checks, tests and commissions the system. The coil is removed from the ceiling and a chemical wash is done. Some good amount of water is used to rinse to make sure that there is no chemical left which could corrode the coil after the service is done. All the other parts are cleaned one by one. They are then assembled back and things such as the pressure are checked and a complete test run conducted. After the procedure is done, you will notice reduced power bills since the ceiling cassette aircon works less hard to cool or heat the room. It will also lengthen its lifespan saving resources such as time and money needed for repair or replacement. You will enjoy cleaner conditioning with little or no troubles for a very affordable fee at http://www.air-conservice.com.sg/. The beauty about it is that though it is an overhaul exercise, it takes a minimum of one and a half hours and a maximum of two hours.